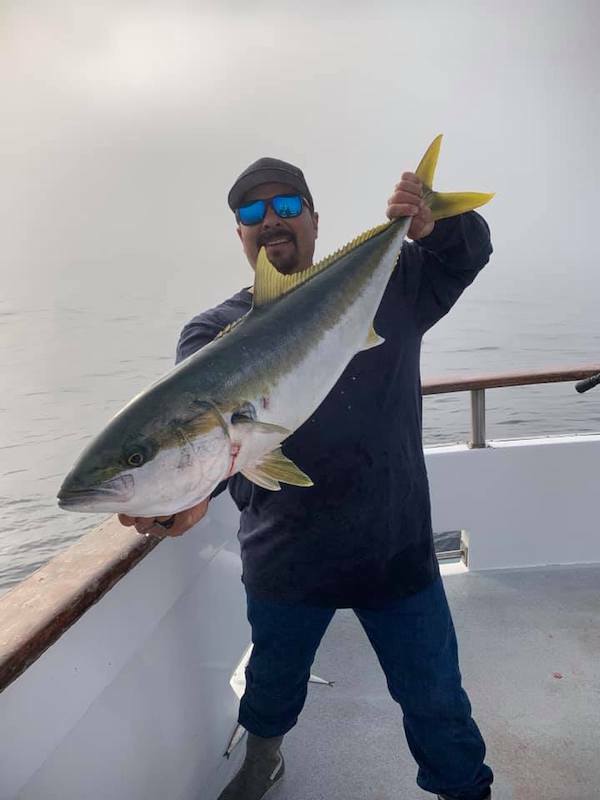 Captain Gavin Harbour from the Pacific Queen out of Fishermen’s Landing check in with a wrap up report for there 1.5 day trip targeting Yellowtail. We ended up with 67 Yellowtail in the 15-25 lb range. Nice grade of fish. We broke off and did some rock cod fishing for a little while and got some reds and yellows and other assorted fish. Overall great trip and good weather. If you want to get out with us, check us out online or call Fishermen’s Landing.